Members automatically earn points for orders through Shopify, based on your payment and fulfillment settings. When a member completes a purchase on your online store, the sale will be recorded against their loyalty account. As a default, they will earn points when the order status is Paid. 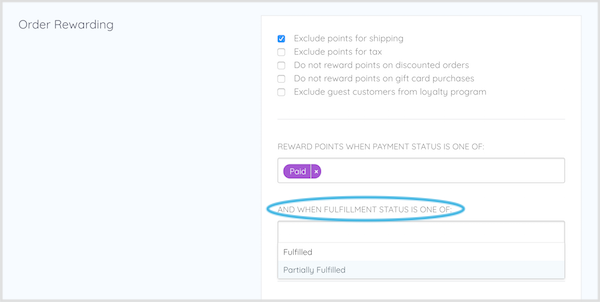 If you would like members to earn loyalty points based on payment status alone, leave the When Fulfillment Status is One Of field empty. 💡Pro Tip: The Fulfillment Status control can add extra protection to you from customers who may refund pending orders to abuse the loyalty point system. 📝Note: You must have Accounts are optional or Accounts are required checked in your Shopify Checkout Settings for members to earn points. 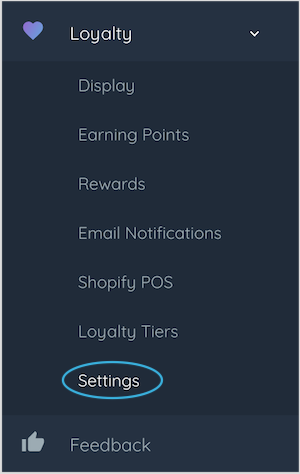 When a member has completed a purchase, they will automatically be rewarded their loyalty points based on your settings. If you have Collected Points Email Notifications turned on, they will automatically receive your email, notifying them of their updated points balance and how far away they are from their next reward.